So, Callie and I spent my spring break in Pennsylvania. It was a wonderful trip and Callie just LOVED being spoiled by all her aunts and uncles, cousins, and grandmas! (she was a bit in shock when we came back home and she was stuck with just mom and dad - she also took a two hour nap the day we got back, which she has never, never (and probably never will again) done, traveling sure is exhausting!). I was a bit nervous about the very long plane ride, but besides not eating at all, Callie did fabulous! Although, she never really did understand why she couldn't grab the people sitting next to us or in front of us. Even though she got sick on the way back, she was still a wonderful traveler. 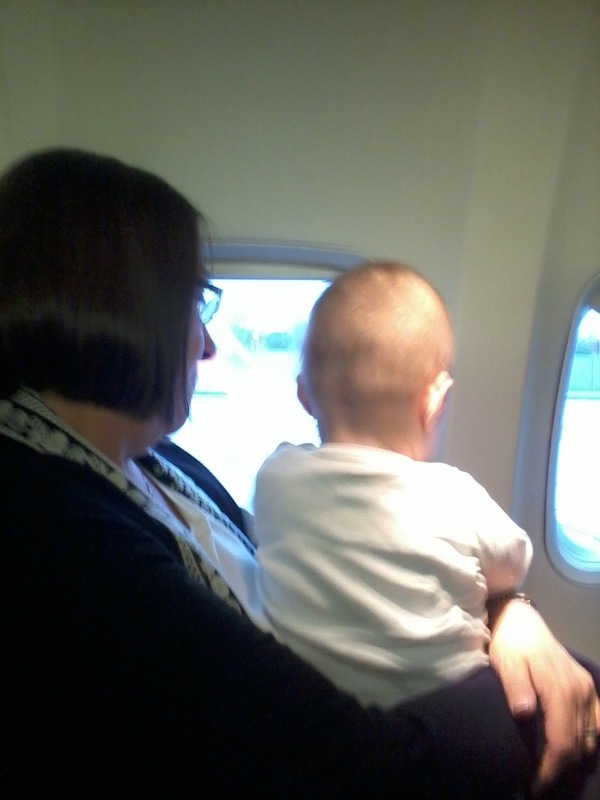 She loved sitting with Grandma and looking out the plane window (yuck!). 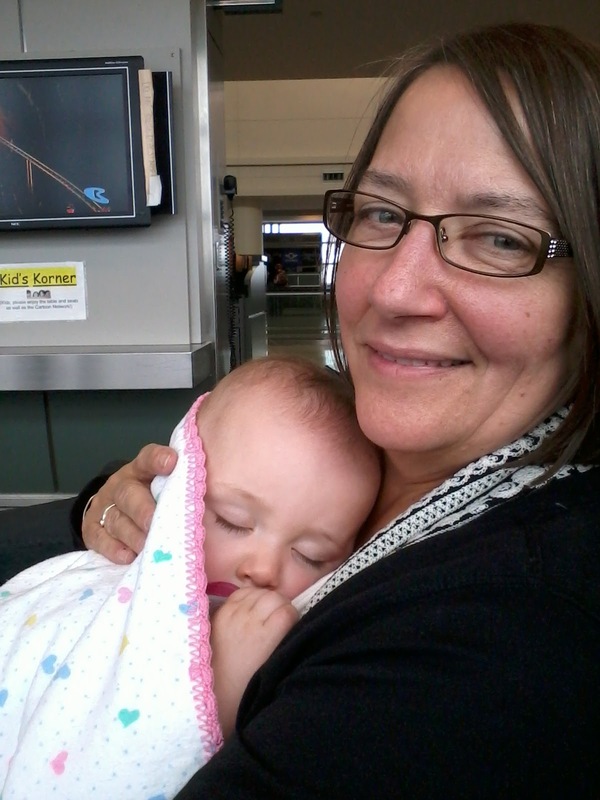 We met Grandma in Chicago - at that point in time both Grandma and Callie needed a snuggle, so they spent part of our layover cuddling up in the airport.